I am so excited to announce that our brand new website and the redesigned new logo is live and ready to welcome you! The Fiorello Photography team is full of joy and positive energy. Daring to change is so refreshing… we are entering in a new era riding the golden cloud of inspiration. Our updated website includes changes to the navigation experience, a brand new logo, the aesthetics of look & feel and a new structure in our dropdown menus for both mobile and desktop versions. We’ve also improved the architecture of our content, so you will get more from a quick read. 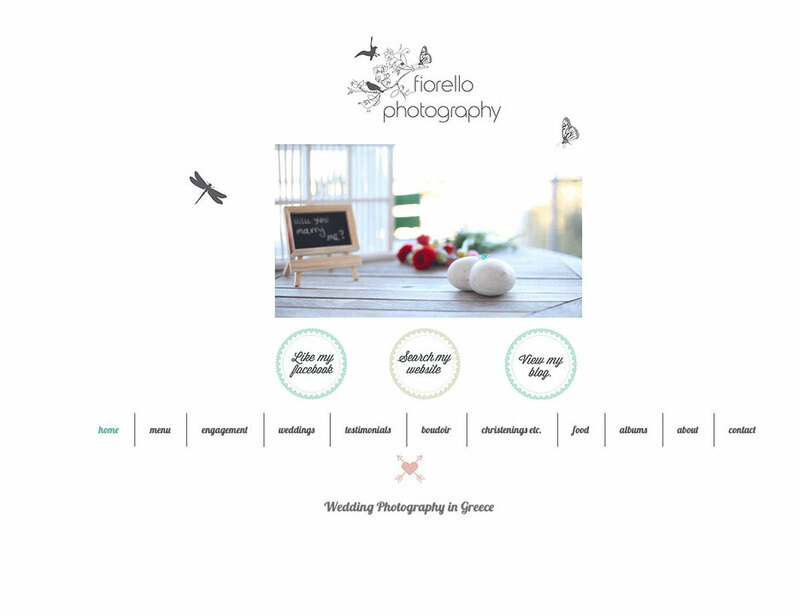 There are also a bunch of smaller but impactful changes, all to make your experience of the Fiorello Photography website more joyful. Being a creative freelancer is something that I enjoy a lot. I am grateful that I’ve achieved to have a day job that is so meaningful and completes me. I consider myself lucky. Of course, having said that, I must also admit that it does not come easily. A freelancer must always be on their feet and completely dedicated to their cause in order to attain their goals. Even though I was an amateur photographer since 1993, I’ve decided to be a professional wedding photographer not until May 2008, when the digital era was already here to stay and conquer our lives. 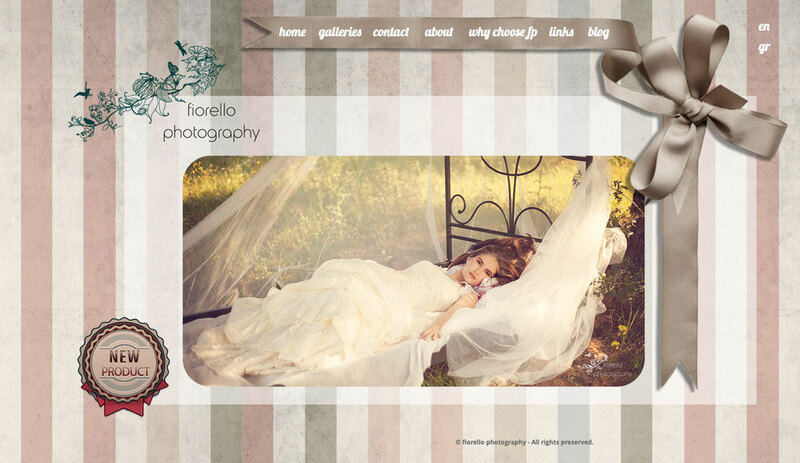 A site was an absolute must for a professional. 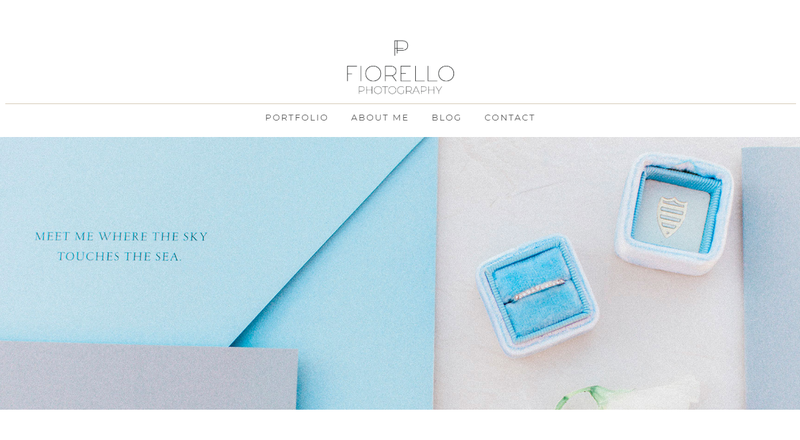 I’ve started on the conventional part, by signing up on the Tumblr microblogging platform, when it was not so popular and created the Fiorello Photography identity. Before that, Fiorello was only an alias on Deviant Art for my amateur experimentations. A couple of years later, needs were no more covered by that and created a formal site. That changed through the years a couple of times, along with my logo, that depicted my identity and way of thinking. 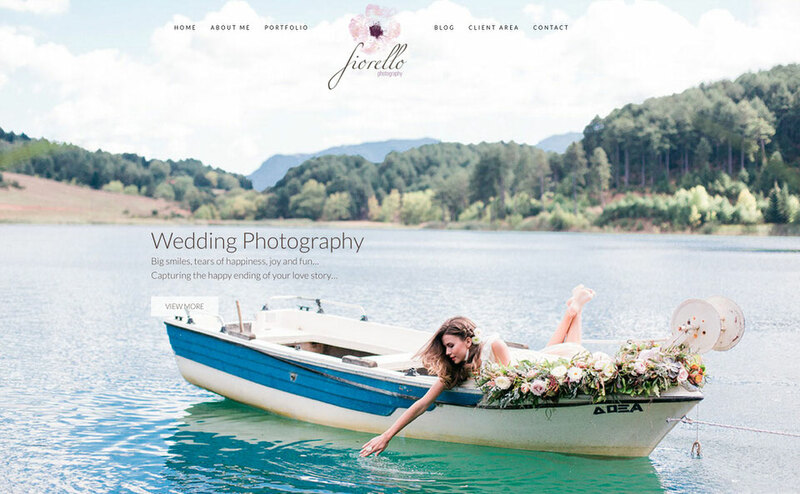 When I started the Fiorello Photography website, the original idea was to have a channel of communication and a live portfolio of my work. But as years passed by the needs changed. Updating the portfolio wasn’t enough. I wanted to share my photography adventures with the people that have trusted me for so many years. I am a memory keeper through my photography camera. My mission is to save your precious life moments from fading out. I believe that beauty is everywhere around us and ready to be discovered by everyone. You and I have a lot in common… we chase the impulsive, the genuine, the flourishing, the intimate. We are travelers in life and we are looking to establish our legacy through memories that stand as our treasure inside of us and through photographs that show real people, actual travels, authentic smiles, genuine love. Photographs that will bring home beauty and warmth. I want to travel with you on this voyage and guide you into moments that you will be your best self. I wish to explore with you and seek something grandiose, beautiful, genuine… to create for you timeless images that will be your heirloom. I adore natural and timeless images where your unique moments are captured for life. But mostly, I care for telling your love story through my camera. I want to witness your heartbeat, your voice, your silent moments, all the secret glances and tender neck kisses… I am your personal storyteller, dedicated to bringing in light your intimate bond. Photography is my medium to combine my love of freedom and art with my love for beauty and my eagerness to capture our journey together. We work jointly towards your personal vision and my aim to every detail to achieve the best photographic result. 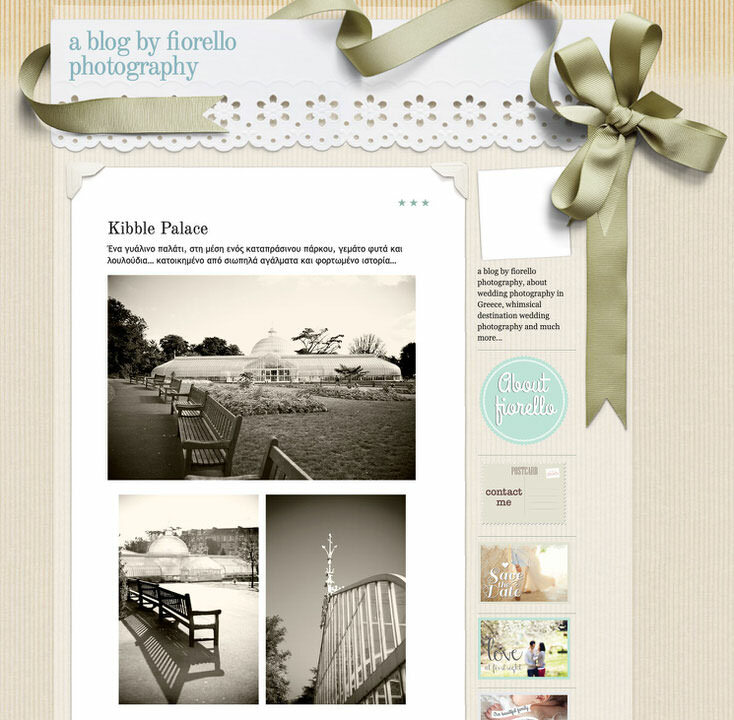 Fine Art Film Wedding Photographers have a certain way to look and capture moments. By definition, we photographers are dancing with light. Are chasing the balance between light and shadow. Fine Art Film Wedding Photographers are actually seeking the best techniques to soften the boundaries between reality and dreams. They bring to the surface the best capture a photographer can get. Film photographers are the voice of all the unsaid words and emotions. As a hybrid photographer, my goal is to capture your joyous moments & unforgettable memories! Let’s meet and talk about your wedding. Shall we have a coffee? Your dreams & plans combined with my awarded photography skills can create the best storytelling wedding photography album. Your wedding album! Now, I am proud to present the new appearance of my site… totally re-vamped, and a new logo to come with it. Clear-cut lines, fresh, simple and to the point… a site that “speaks” of my work and at the same time for me. Ι feel that I’ve grown up along with my sites, and even though I look at them and do not like anymore their aesthetics, I have to say that I appreciate them for teaching me and helping me mature. However, I am not alone on this digital trip: I have Kostas, my web developer and Areti my digital strategist to travel along. I am very grateful to them and I owe them a big thank you for being there for every step of the way! I hope that you like the new “line” and follow me towards new adventures!